Afroditi Stefanou works as a Special Research Scientist at the Center for Applied Neuroscience (CAN), the University of Cyprus since February 2019 and she is the Project Administration Manager of the Neo-PRISM-C project. Afroditi holds a Master’s degree in Educational Administration and Evaluation (2014) and a Bachelor’s degree in Primary School Education (2012) from the University of Cyprus. As to her professional experience, she was involved as an Administrative Officer at the Vice President for Operations Office at the Cyprus Institute and also as a European and Co-funded Projects Officer in the private sector working on several European Erasmus + Key Action 2 -in Vocational Education and Training- projects and AMIF projects. Also, she was involved as an educational/instructional officer in the European Erasmus+ research projects (Key Action 3) of the Cyprus Pedagogical Institute (Department of Educational Technology), ATS2020-Assessment of Transversal Skills 2020 and MENTEP-Mentoring Technology Enhanced Pedagogy from 2016 to 2018. 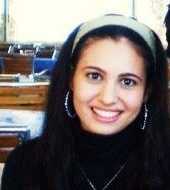 In addition, Afroditi was part of the Educational Effectiveness Research Group of the University of Cyprus, working as a research associate-teaching assistant-special scientist in the Department of Education from 2012 through 2016, on several projects such as Studying, Understanding and Assessing the quality of instruction in Mathematics through Analyzing Videotaped Lessons; Integrating Generic and Content-Specific Practices in Exploring the Association between the Quality of Instruction and Student Learning; Validating an Instrument for Measuring Primary Teachers’ Mathematical Knowledge for Teaching; PROMQE: Promoting Quality and Equity: A dynamic approach to school improvement (Erasmus+ Key Action 2). Moreover, her work experience is expanded as a primary school teacher in the all-day voluntary primary school as well as a primary school instructor in the Project DRASE-Actions for School and Social Inclusion of the Cyprus Ministry of Education and Culture. In terms of research output, Afroditi has a co-authored paper in Teaching and Teacher Education journal entitled “Using generic and content-specific teaching practices in teacher evaluation: An exploratory study of teachers’ perceptions”, published in 2014.